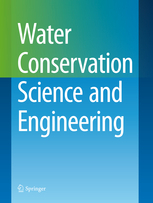 A new water journal published by Springer entitled ‘Water Conservation Science & Engineering’ is established under the leadership of AEP Principal Investigator, Associate Professor Chong Meng Nan. 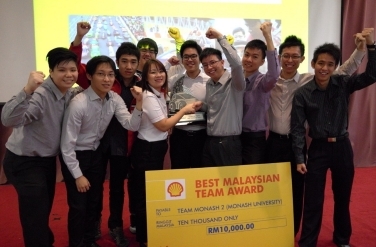 Shell Malaysia yesterday crowned Team Monash 2 from Monash University, Malaysia as the Best Malaysian Team for the 2014 Shell Eco-marathon Asia. The team brought home RM10,000 cash prize and a challenge trophy. 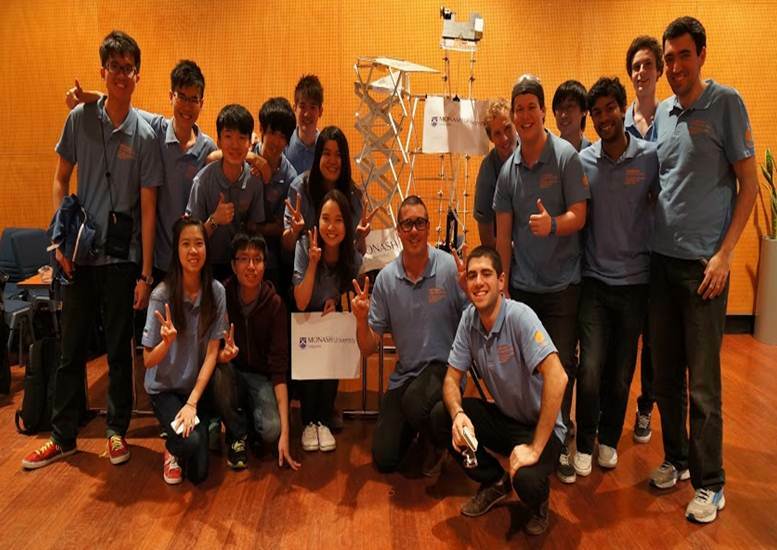 Team Monash 2 was among the 16 teams that represented Malaysia at the 2014 Shell Eco-marathon Asia held for the first time in Manila, the Philippines earlier this year. 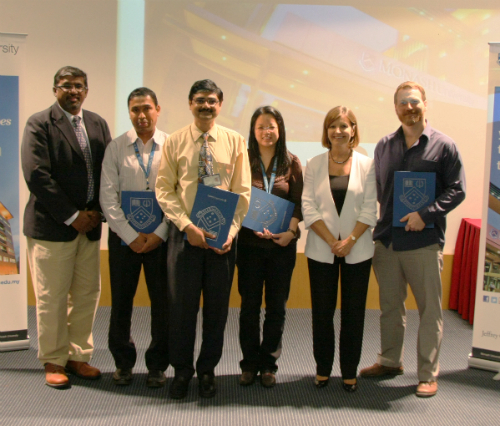 IChemE student chapter in Monash University Malaysia has officially launched on 25 September 2014. Aim of this IChemE Student Chapter is provide a platform for CHE students to increase knowledge in the area of chemical engineering, to network with chemical engineeringin the region and to build up necessary skills to boost employability. 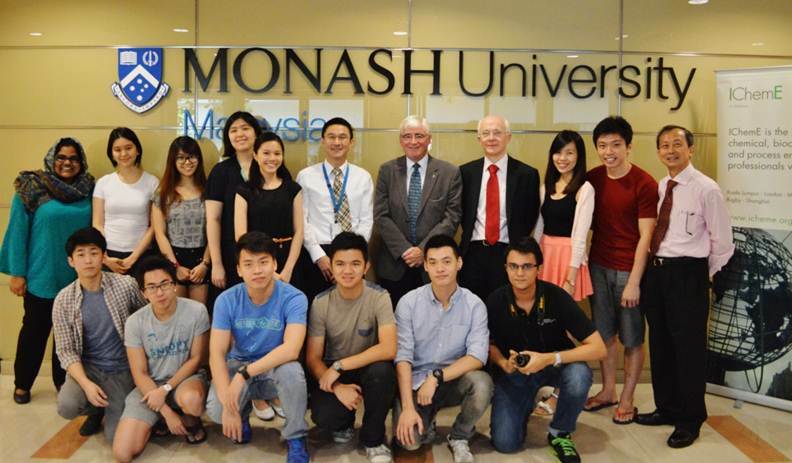 Five of the 11 Malaysia-based scholars and professionals awarded with scholarships to study in Australia, under the prestigious 2014 Australia Endeavour Awards program, were from Monash University Malaysia. 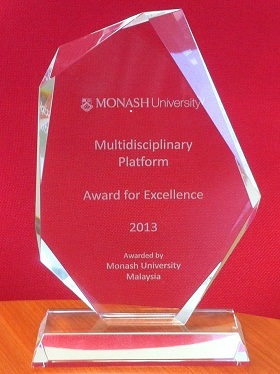 Professor Mahendhiran Nair, Deputy President (Strategy), from Monash University Malaysia, awarded the Multidisciplinary Platform Award for Excellence to the Director of Advance Engineering, Prof Joshua Li for establishing collaborative research across three faculties resulting in a number of highly ranked publications. 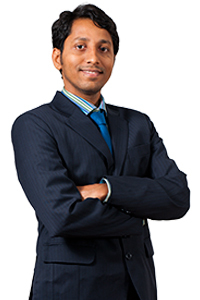 Associate Profesoor Md Ezharul Hoque Chowdhurry, one of the principal investigator of Advanced Engineering Platform (AEP) was awarded with PVC's Awars for Excellence of Research (open category) on Advanced Cancer Therapy through Targeted Gene Knowkdown Along with Conventional Anti-Cancer Drugs.